Bucky Wunderlick, rock star and budding messiah, has hit a spiritual wall. In mid-tour he bolts from his band to hole up in a dingy East Village apartment and separate himself from the paranoid machine that propels the culture he has helped create. As faithful fans await messages, Bucky encounters every sort of roiling farce he is trying to escape. 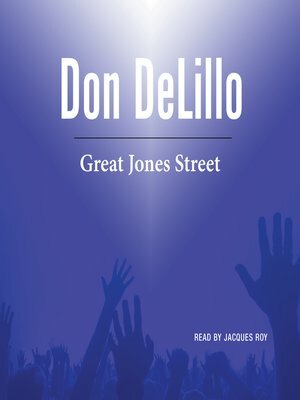 A penetrating look at rock and roll's merger of art, commerce, and urban decay, Great Jones Street "reflects our era's nightmares and hallucinations with all appropriate lurid, tawdry shades" (The Cleveland Plain Dealer).